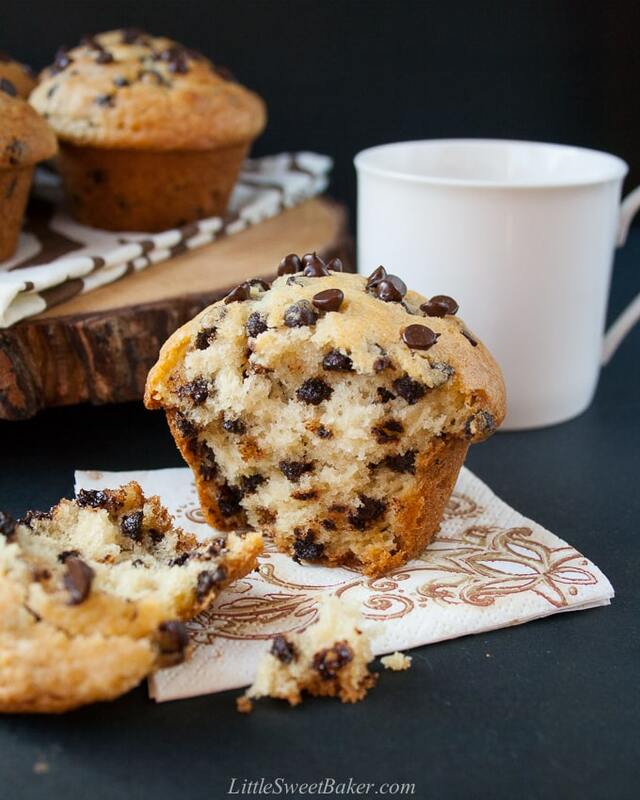 A crispy, sky-high muffin top, full of chocolate chips, soft and buttery on the inside – a perfect way to start your morning! 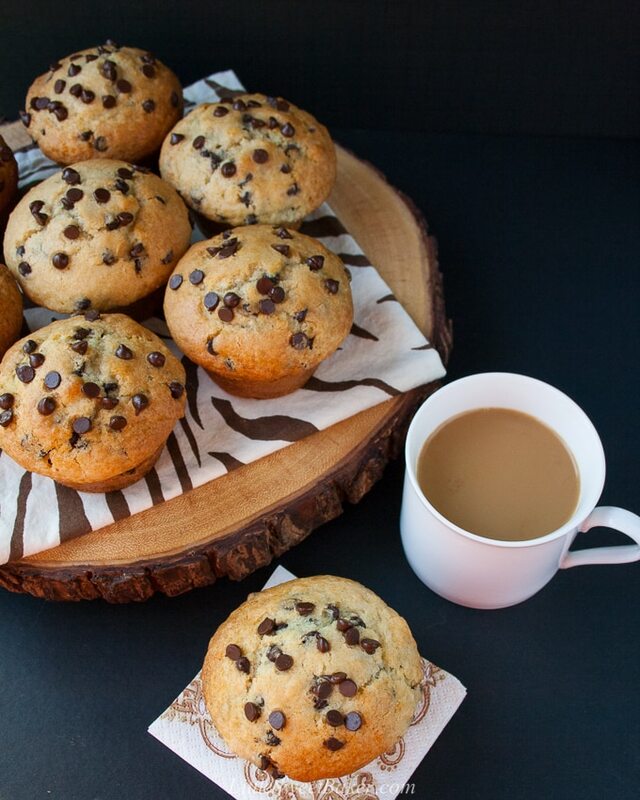 Enjoy these fabulous muffins with your morning coffee and/or as an afternoon snack. 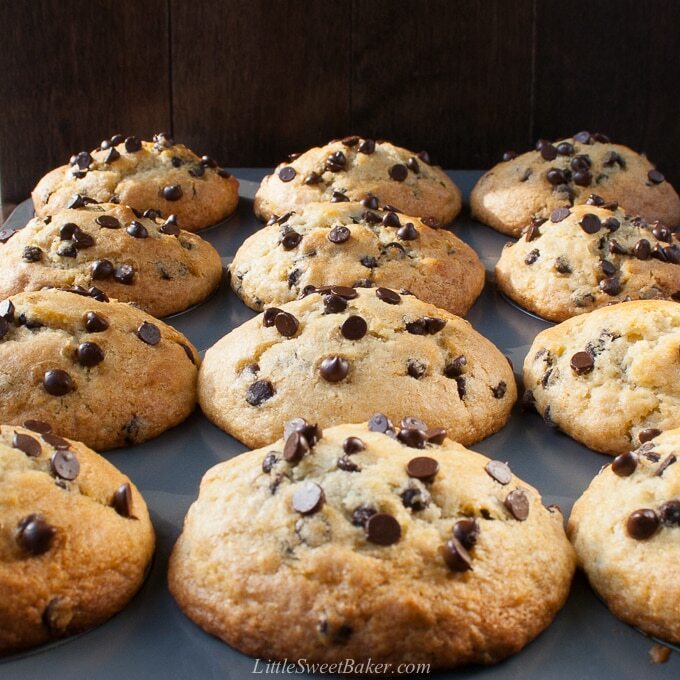 They’re moist, fluffy, rich in flavor, loaded with sweet chocolate chips, and they’re so delicious, I promise you’ll want to devour the whole thing, not just the tops. 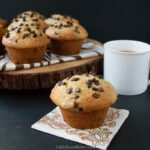 The BEST chocolate chip muffin recipe – soft, moist, fluffy, loaded with chocolate chips, and a perfect crispy sky-high muffin top! Divide the batter into the 12 muffin cups and bake at 425°F for 5 minutes. 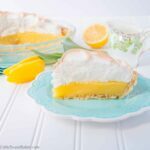 Then reduce the oven temperature to 375°F and continue to bake for another 12-15 minutes or until a toothpick inserted into the center comes out clean. Do not overbake or the muffins will be dry. Let cool for about 5-10 minutes and enjoy warm. *You can substitute the buttermilk with any kind of milk. Even non-dairy milk like almond or rice milk works. Simply mix it with 1 tablespoon of white vinegar or lemon juice to make 1 cup. Muffins taste best the day of, but can be stored in an airtight container at room temperature for up to 5 days. For mini muffins; bake for 10-12 minutes at 375F only. 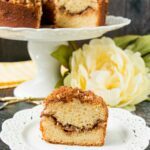 You might also like my Bakery Style Blueberry Streusel Muffins, Bakery Style Banana Nut Muffins, and Double Chocolate Muffins. Click here to see all muffin recipes.